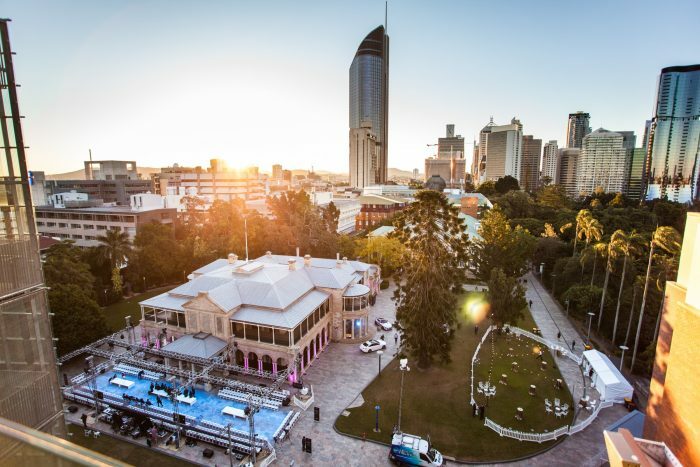 Each year designers, local, national and international, gather in Brisbane to show off their latest creations for the spring and summer seasons. 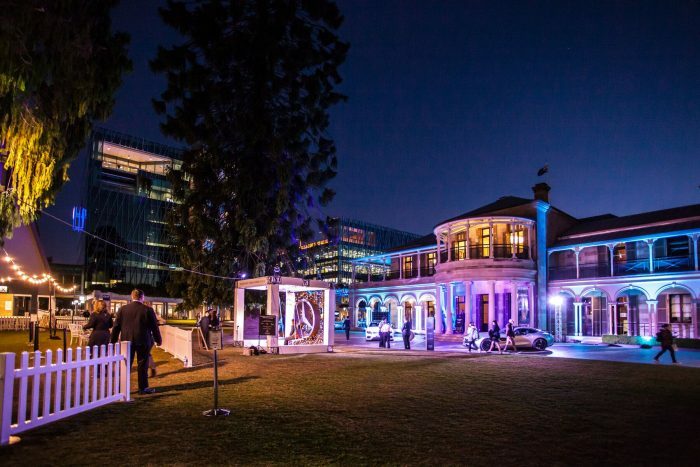 In 2017, Cuisine on Cue provided exclusive catering for the Mercedes Benz Fashion Festival at QUT’s Old Government House. 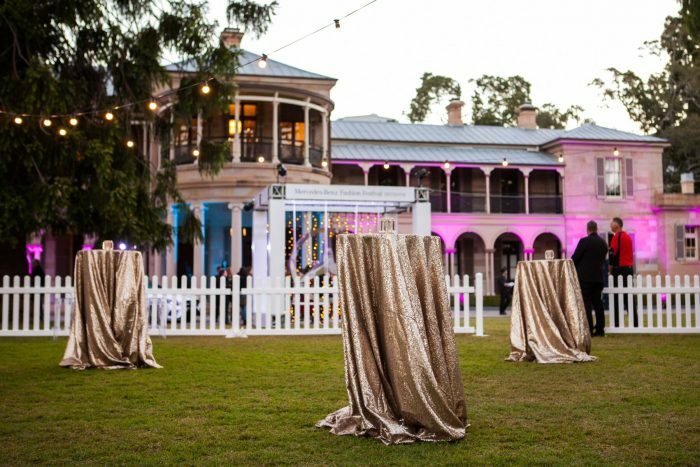 The Fashion bar was set up on the lawn outside Old Government House. 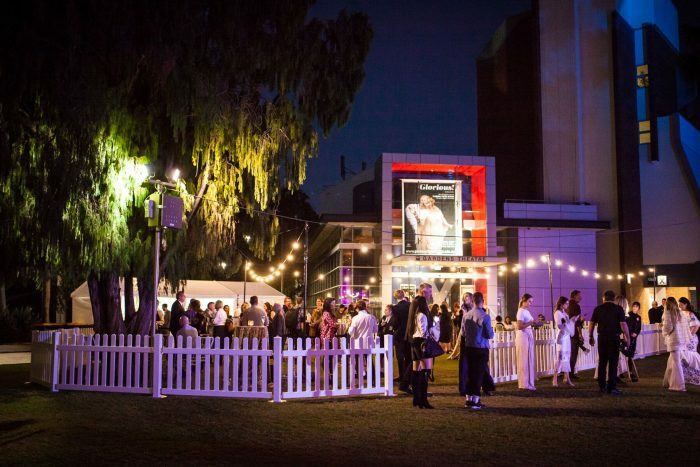 The area was draped with festoon lights and included a bar where food and drinks were available for purchase. 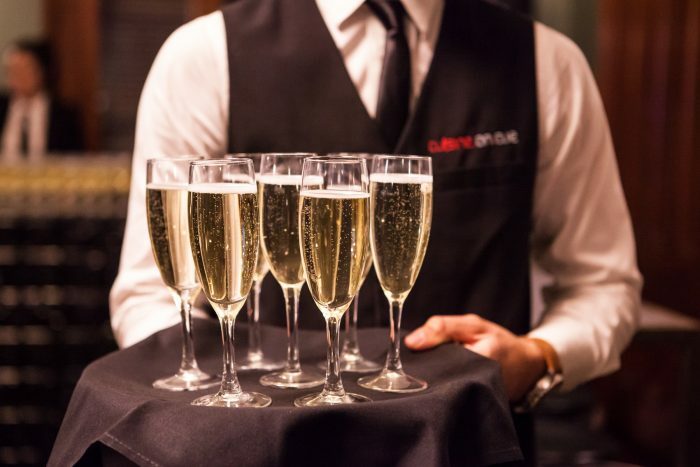 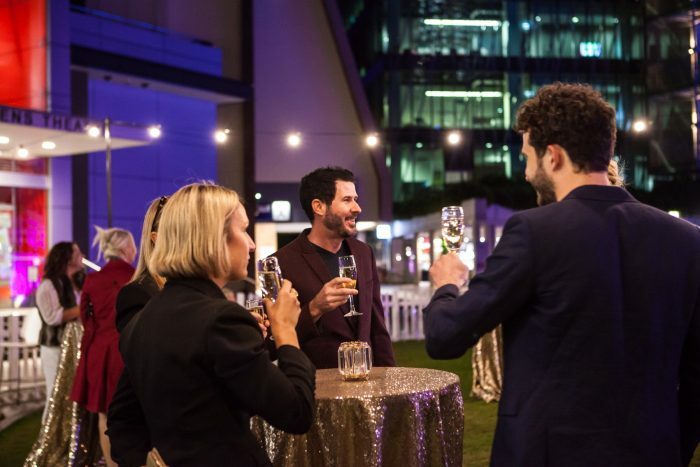 Access to the ‘Fashion Bar’ was free, making it the perfect place for fashion enthusiasts to enjoy a bite or a beverage before and after the show. 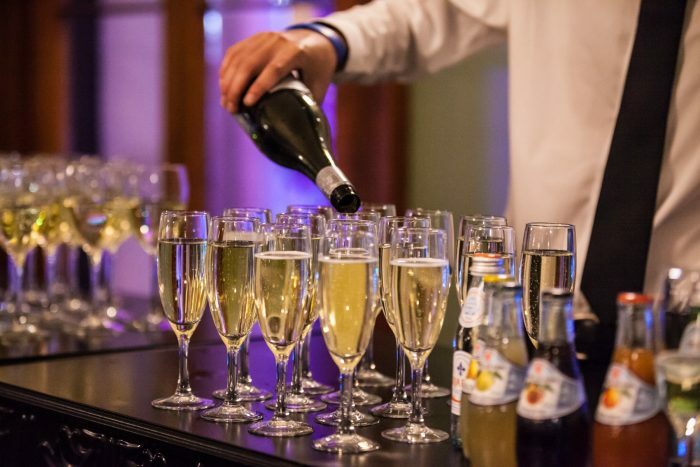 ‘The Fashion Bar’ also hosted to a range of different designers every night including Sacha Drake, Camilla, White Label Noba, and Naudic. 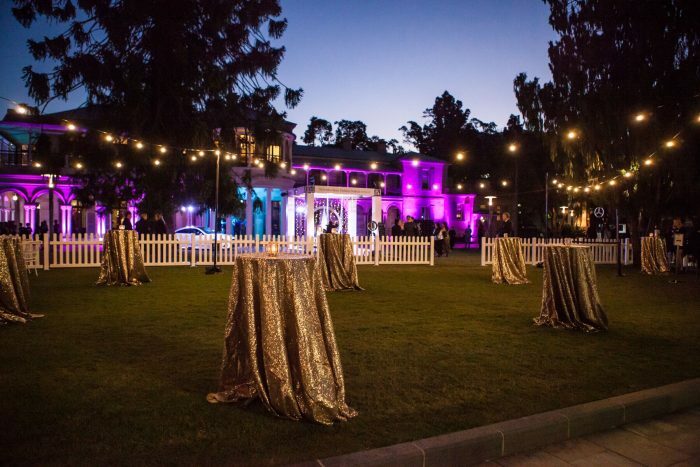 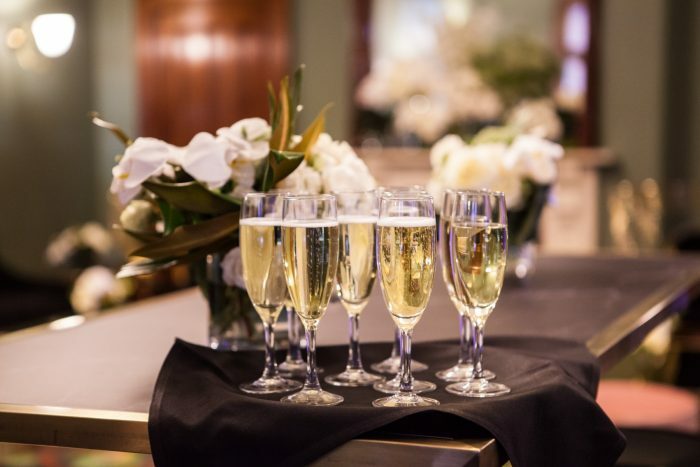 Inside Old Government House was the VIP area, where special guests and ticket holders mingled in the decadently decorated rooms of this stunning historical building. 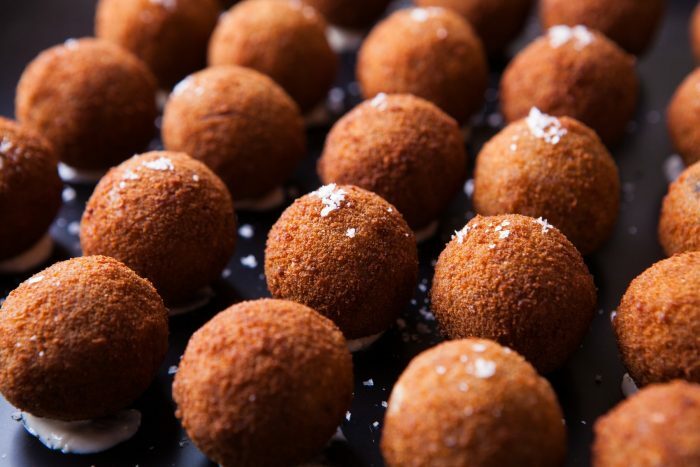 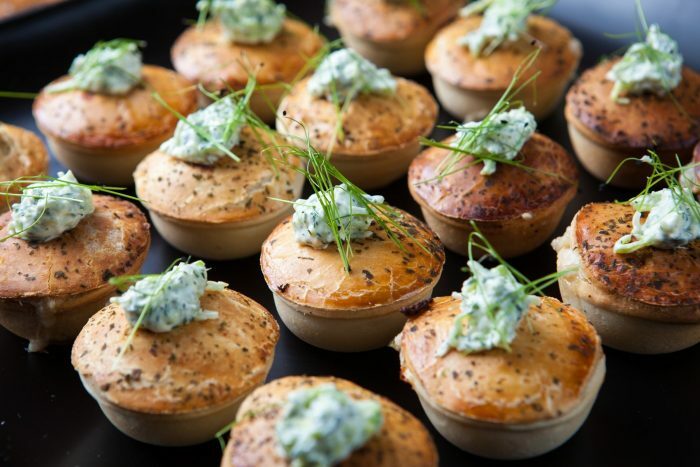 VIP guests were treated to a range of seasonal canapés provided by Cuisine on Cue every night of the week. 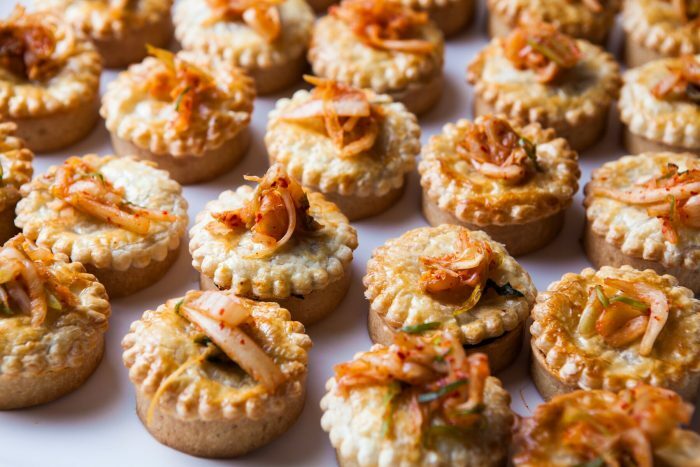 Some of these treats included bite sized prosciutto wrapped beef eye fillet with pickled Spanish onion, steamed king prawns with lime and chilli aioli, Korean duck party pie topped with house made Kim Chi. 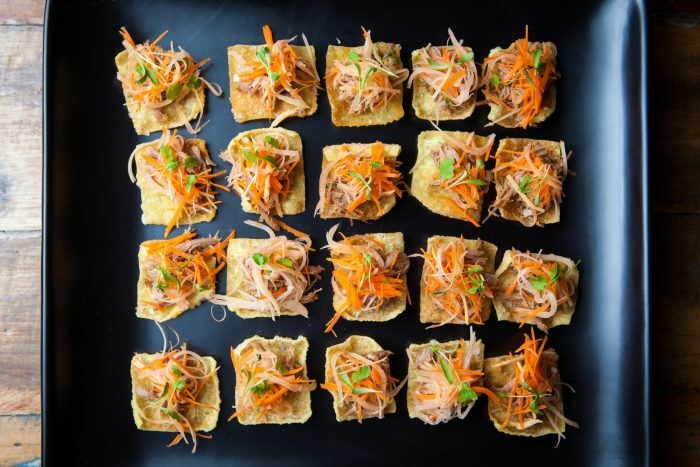 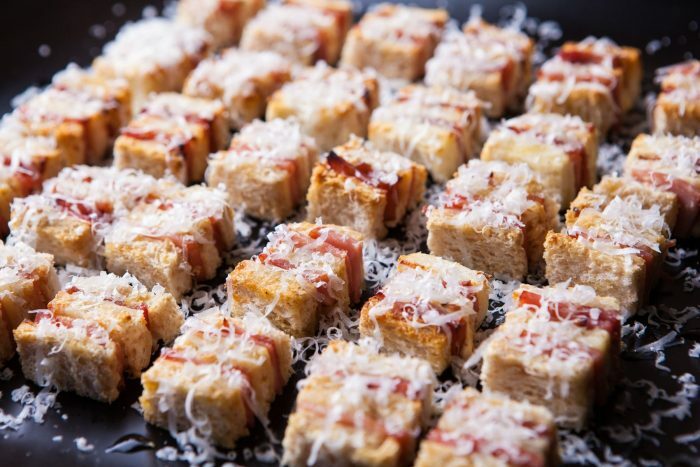 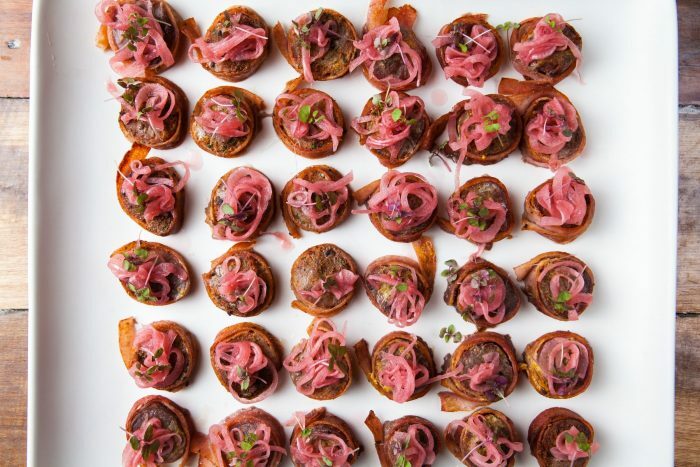 These canapés were served alongside a selection of wine, spirits and beers. 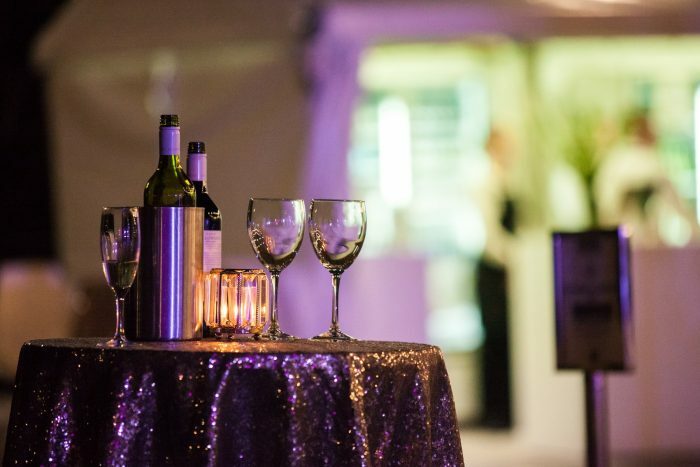 VIP guests took their seats front row for the fashion show and were invited backstage for a closer look at the designs and given the unique opportunity to buy them straight of the rack.